personally endorsed by Luke Perry. A versatile and talented actor, Luke Perry is one of the most charismatic performers of his generation. 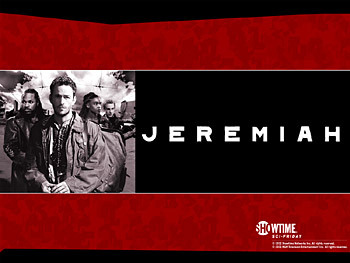 Perry is currently shooting the new sci-fi television series, "Jeremiah" for Showtime, based on the popular comic book series of the same title. He recently completed shooting a 10 episode arc for HBO's critically acclaimed series, "OZ", in which he portrayed a new member of the prison population. Perry has also just finished two new films, " The Enemy", a spy thriller opposite Roger Moore, and "Fogbound", a pyscho-sexual thriller. During his years on "Beverly Hills 90210", the long running series on primetime television, Perry appeared in independent films and major studio productions such as Columbia's " Fifth Element", directed by Luc Besson; "Riot" for Showtime; "Normal Life", for New Line; "American Strays", and "The Florentine", in which he co-starred with Chris Penn, Jim Belushi, Michael Madsen and Mary Stuart Masterson. Perry made his feature film debut starring in "8 Seconds", the remarkable account of champion bullrider Lane Frost, which was directed by John Avildsen. Drawn to the project by the action, drama and simplicity of the story, Perry trained vigorously for 18 months, as well as co-producing the picture, in order to maintain the story's integrity. In 1989, Perry was chosen for the starring role on the internationally popular television series, "Beverly Hills 90210", in which he portrayed the brooding but sensitive Dylan McKay. The highly rated program won a Golden Globe Award for Best Dramatic Television Series in 1991. 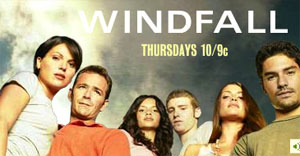 Luke is currently starring in "Windfall" on NBC. "Johnny Bravo" (1997) "Luke Perry (Himself)"(voice)� "Luke Perry's guide to love"
"Beverly Hills, 90210" (1990) "Billy McCoy/Marshall Jedediah Southwit"� "The Real McKay"
"Beverly Hills, 90210" (1990) "Peter Brinkley"� "The Time Has Come Today"